WMF Perfect Series - Perfect Pro 4.5L - A pressure cooker range that is simple to use with all the functions located in a single all in one twist knob. 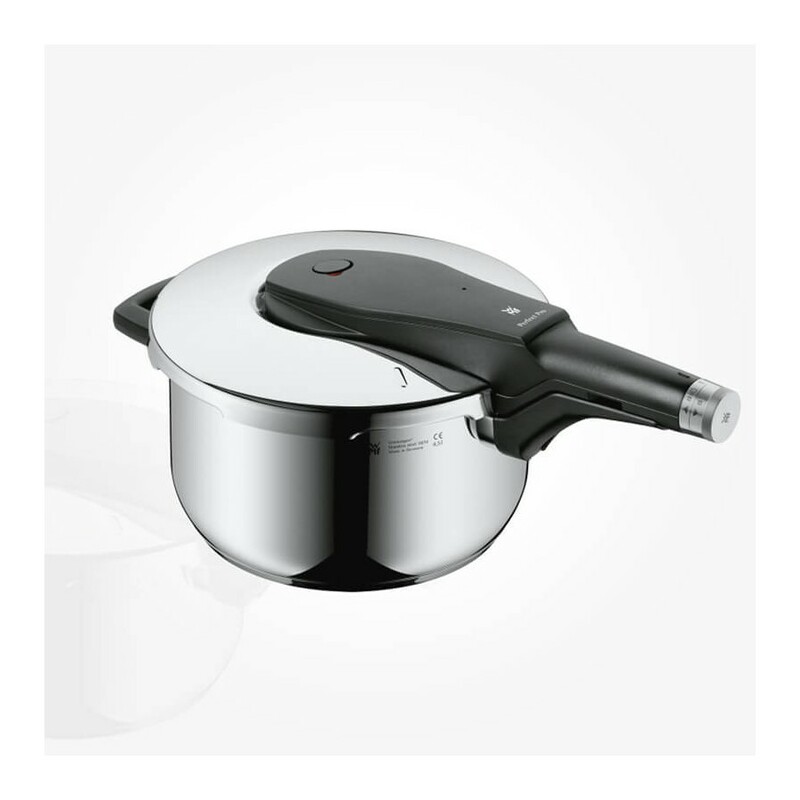 Like all WMF pressure cookers, tried and tested technology with modern design - clear and easy to use. Cooking indicators are located in the handle which is removable for easy cleaning. Like all WMF pressure cookers, it features an inside scale easy measuring and a TransTherm universal base which spreads the heat evenly. Made in Germany from Cromargan 18/10 strainless steel.